City venue The Artillery Garden at The HAC will open its stage doors once again to some of the UK’s finest comedy talent as Inconnection hosts its London Comedy Lunch for the sixth consecutive year! Tables are now available, book yours here. The event takes place on Thursday 8th December at The HAC in London and is an exclusive corporate hospitality event that raises vital funds for children’s charity the Rainbow Trust. The Comedy Lunch has been a runaway success since year one providing a great opportunity for guests to network with peers, entertain key clients or just a great excuse to thank the team who are key to the success of your business. To secure your table today please call Pete Gill on 0161 482 8222 or email pete@inconnection.uk.com. 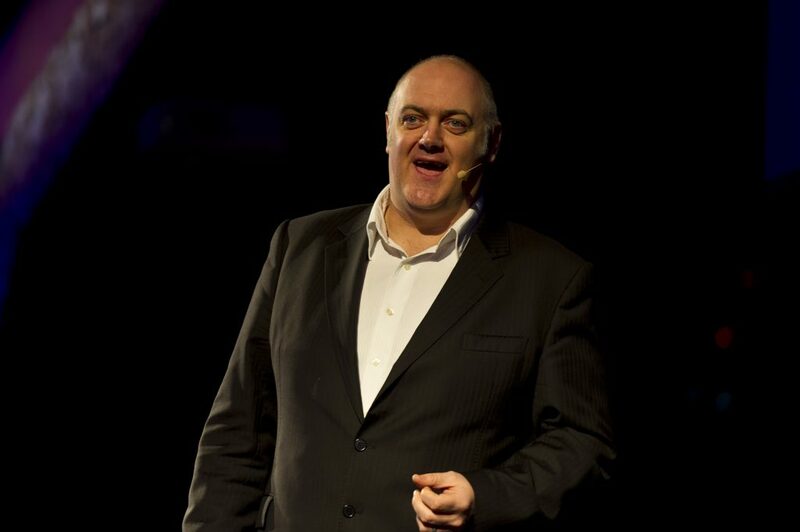 Popular Irish comedian and TV presenter Dara O’Briain has been confirmed as the headline act for this year’s event. Funny-man Dara is one of the few performers to successfully host comedy shows in both the UK (BBC’s Mock the Week) and in his native country Ireland (The Panel). Dara will headline a packed line up of acts, including Live At The Apollo host Hal Cruttenden and compere of the day- comedian Sean Collins, fresh from performing at some of the UK’s top comedy scenes. Please visit London Comedy Lunch for more information.